The number of scripted shows continues to grow each year, and 2018 has already brought a mountain of new content to keep up with. This won’t slow down anytime soon. And so with that in mind, it’s useful to take a step back and assess what’s already available to watch before this next wave. Fall television will return in full force soon, and the previous highlights of 2018 may start to appear smaller and smaller in the rearview mirror. Despite the endless streaming options, only a few shows have truly stood out as 2018 must-watches so far. If you’re overwhelmed, just focus on watching these five featured shows and you can at least say you’ve kept up with the best of the best, which I’ve ranked based on the many hours of TV logged this year, keeping in mind Metacritic ratings and other critical opinions. For the list below, I capped the recommendations at five, as I felt there’s a sizable enough gap in quality between fifth place and what comes next on this list. That said, I’ve still included a few other highlights in a runoff section beneath the ranking. To quickly clarify, traditional, basic cable networks didn’t have any shows that made the list, so this is ultimately streaming-centric. That means I didn’t include crowd-pleasers like “This Is Us” or “The Good Place,” which, given their network home, have the tricky task of appealing to both a large and critical audience. The list below skews more to favoring the latter, although many featured shows are also popular. “Atlanta” has been the best show of 2018 so far. Premise: A young woman and her friends try to figure out how to retain their dreams and desires while growing up. The protagonist, Issa, continues to struggle to launch her life in Los Angeles. She feels comfortable in the city, but paying rent, finding love and having a sense of fulfillment in her career all remain elusive. Value: Many of the best shows today have elaborate concepts to keep your eyes glued to the screen. Mysteries. Dragons. Mysteries and dragons. How can you look away from such things? Somehow, “Insecure” eschews this model to wring entertainment out of incredibly mundane life. The main character has basically had the same problems, love life possibilities, career and friends over three seasons. But despite this facade of low-stakes storytelling, the journey deeper into her psyche continues to get increasingly fascinating year after year. This “smart” version of simple storylines gives viewers rat-a-tat jokes that come from fun dialogue, while also blending in larger emotional stakes. The end result becomes a breezy watch with intellectual heft. Where to Stream: HBO Go/Now. Premise: A hitman and former Marine feels disillusioned with his violent career. While tasked to kill an actor, he becomes enamored with an acting class and decides to risk everything for an occupational pivot to the theater. Like “Insecure,” this also takes place in Los Angeles, although the city looks far less glamorous here. The hitman, Barry, has trouble finding the light in life and the choices in setting reflect that. Value: The concept of this show could have been an “SNL” sketch. The central joke of the show’s conceit focuses on the ludicrous nature of acting classes that try to get students to tap into their deepest emotions and then perform those feelings on the stage. Run-of-the mill students in these classes don’t tend to be that emotionally deep or have unique backgrounds. Many teachers in the industry, the show seems to posit, are hacks. So what if a hitman disrupted one of these mediocre classes and tried this out? Would that be funny? Would the class lose its mind? Would he be the best actor of all time? Instead of aiming for the biggest laughs, “Barry” ultimately searched for insight into the human condition. Much like the broad strokes of emotion that clowns try to intimate to their crowds, the main character, Barry, could process his deep depression through performing openly for the theater types in his class. A shell of a human after all the killing he’s done, Barry rebuilds a new life piece-by-piece, often while doing so through awkward, but telling performances on the stage. The show toed a line between realistic and absurd, but the emotional moments always landed. You’ll laugh, cry and might even root for the killer, even as he commits morally devoid atrocities. “Killing Eve” on BBC America. Premise: An MI5 officer tries to hunt down a psychopathic female assassin. The assassin quickly realizes this and starts toying with the officer. In the process of a cat-and-mouse chase, the two kind of fall in love with each other. This, of course, makes both of their jobs much more complicated. Value: It’s always confusing when two different projects with similar concepts debut at the same time. In cinema, these are called “twin movies,” such as the magician-centric movies “The Prestige” and “The Illusionist” from 2006 or the romantic comedies “No Strings Attached” and “Friends with Benefits” from 2011. “Killing Eve” and “Barry” were “twin shows” in 2018, as the two shows debuted at roughly the same time and similarly focused on assassin characters. Despite both achieving overwhelming critical success and both having a comedy-plus-thriller narrative sensibility, the two still feel entirely unique from each other. While “Barry” mines its titular character’s wallow in depression for comedy, “Killing Eve” focuses more on fantastically strange moments. The series creator, Phoebe Waller-Bridge, has established herself as one of the best singular television writers of the decade (previously with “Fleabag” and “Crashing”) and her love for the bizarre shines through magnificently in this show. Truly surprising and creatively ridiculous moments make this endlessly entertaining. The show does go off-the-rails a few times in search of these high highs, but expert character work ends up keeping this high-throttle thriller glued together. The emotional bond felt between the officer, Eve, and the assassin, Villanelle, solidifies this as a show you can’t look away from. It keeps you wondering, What will those two do next? The answer to that question pays off again and again. Where to Stream: On Hulu later this year. Buy on iTunes and Amazon. Premise: The aging, ailing founder of a media conglomerate decides he’s not ready to cede control of his business. His expectant children become frustrated with their father’s hold on the company and plot his retirement. The family wars with each other, while still repeatedly coming together during the trappings of tradition ― such as Thanksgiving and a wedding. This causes characters who love each other deep down to repeatedly betray one another to their faces. Value: From the marketing, this didn’t appear to be a comedy. With a storyline loosely based on the real-life media mogul Murdoch and Redstone families, this looked like it might be one of those “homework”-esque projects that HBO occasionally puts out. You know the projects ― those movies like “Too Big to Fail” or “Game Change” that aren’t that good, but have high-profile actors doing somewhat impressive impersonations of people in the news amid clunky dialogue and inert storytelling. “Succession” was not that at all. After a somewhat divisive pilot episode, “Succession” quickly established itself as a leading contender for the funniest show in all of 2018. An incredibly gripping drama depicting the power struggles within a family of rich people does center this and propels each episode wonderfully. But the best moments and writing happens in the margins, as the characters spew hilarious dialogue that rivals any comedy. Some jokes have episodes’ worth of setup, only to squeeze an impressive amount of payoff out in just a few seconds. Sometimes, more bizarrely, a character will just ejaculate on an office window. Somehow, both types of jokes make sense in the show’s world, making the creativity even more impressive here. Premise: An Atlanta rapper starts gaining international success and must decide who should stay in his crew during his rise to a new, better life. Those in his orbit must evaluate their lives and decide if they’re helpers or hangers-on, which bleeds into re-examining their worth in other aspects of life. The season’s narrative also wildly zigs and zags to other related, but off-the-path stories including a trip into a Michael Jackson-esque figure’s house of horrors and a footrace against former NFL quarterback Michael Vick. The show is full of surprises. Value: This show is in a league of its own. Sometime in the future, this may be considered the best show of the decade. It will likely spur endless copycats. Someday, critics will wrap their heads around how to even define this show, and “Atlanta” will be credited with starting its own genre of storytelling. Magical realism has dominated prestige American television since “Twin Peaks” in the 1990s. 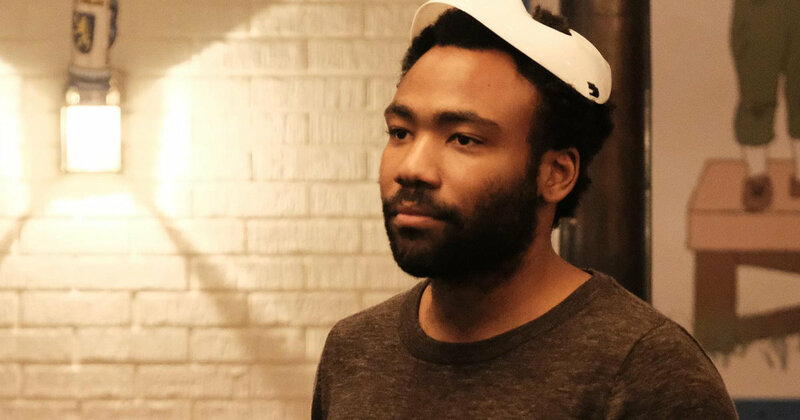 Before “Atlanta” started in 2016, series creator Donald Glover teased it as ″‘Twin Peaks’ with rappers.” That first season had fairly standard uses of this writing technique, introducing an inexplicably bizarre ghost-like figure and an invisible car. These uses were creative, but not incredibly unique — strange for strangeness’ sake, or simply there to get a laugh. In the second season, “Atlanta” found a way to reverse the idea and make realistic moments feel magical. For example, the creatively strange moments inserted into the script typically came in service to the characters’ backstories and personalities. And this somehow didn’t feel like Wes Anderson-esque quirkiness for quirkiness’ sake. A character could be keeping an alligator in his apartment and you would believe that, yeah, this character would totally hide an alligator in his house. These moments disrupted the viewing experience just enough so you could never know which turns the show would take, but still care deeply where it would go. The characters have harrowing journeys at the heart of this season, and the chaos around them reflects their inner turmoil and indecisiveness. Until the last moment of Season 2, you’re unsure if these characters are going to be OK, and even then, although the ending is satisfying, you’re left knowing there’s no escape from the bizarreness of this world. With this narrative orientation, the most fascinating adventures the world has to offer alway appear to be right around the corner. Where to Stream: FX+. Buy on Amazon. “Better Call Saul” on AMC. “Dear White People” on Netflix. “A Very English Scandal” on Amazon Prime.